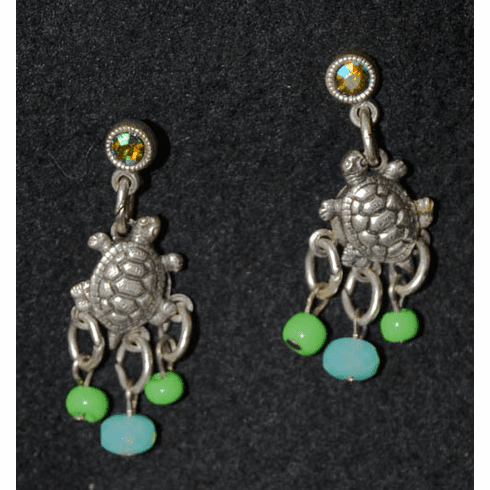 Tortuga Sea Turtle Earrings - These pewter Tortuga Sea Turtle Earrings are accented with sea colored semi-precious stones with just the right amount of dangle, durable ear post with heavy duty back for years of enjoyment. Gift Boxed. Earrings measure 1-1/4" in length.